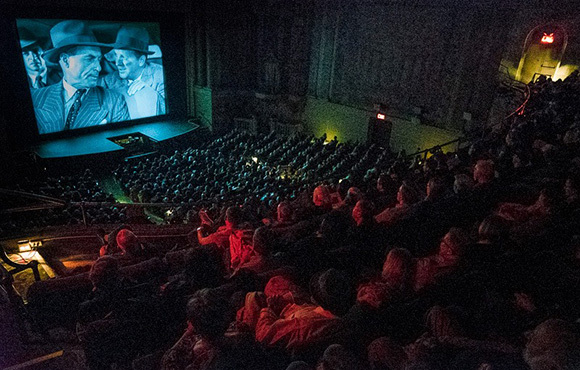 Celebrating its 17th year, NOIR CITY, the largest annual film noir festival in the world, returned to the majestic Castro Theatre January 25-February 3, 2019 for its most successful festival yet. Film Noir Foundation prez Eddie Muller took audiences on a deep dive into a turbulent and transitional time in American history, culture, and cinema, the 1950s. 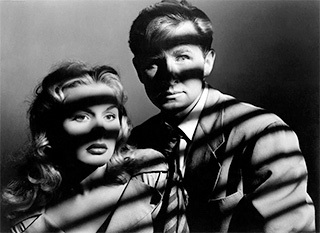 This year's program extended last year's chronological pairings of "A" and "B" from the 1940s into the 1950s, offering viewers a slate of films that tracked noir through the declining studio system and into a fresh cinematic landscape where noir was refashioned, both subtly and radically, for a new generation. Opening Night, January 25, featured the world premiere of the FNF's latest 35mm restoration, Trapped—a 1949 noir from short-lived Eagle-Lion Films, starring Lloyd Bridges and scandal-plagued starlet Barbara Payton. A surprise guest appeared on stage with Muller after the screening. Mark Fleischer, the son of the film's director, Richard Fleischer shared some personal insights into his father's life and work. 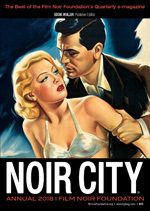 In addition to presenting 24 classic films, NOIR CITY also offered up live musical performances, nightly on-stage trivia games and two parties. Prior to the opening night screening, Passport (full series) holders were treated to an opening night reception including food, music and the chance to have their photo taken with FNF prez and NOIR ALLEY host Eddie Muller, courtesy of Turner Movie Classics who provided a special NOIR ALLEY backdrop and a photographer. On Monday, January 28, NOIR CITY patrons were treated to an after-party at local bar Last Rites. This year's (and last year's) Ms. NOIR CITY Annabelle Zakaluk performed two sets of songs from the "Golden Age of Noir", accompanied by her usual partners in crime, Nick Rossi and Mikiya Matsuda. A portion of the proceeds of each Maker's Mark NOIR CITY cocktail special sold was donated to the FNF. On Wednesday, January 30, FNF board member Alan K. Rode signed copies of his book Michael Curtiz: A Life in Film on the mezzanine of the Castro Theatre. He also introduced that night's screening of Curtiz's The Scarlet Hour (1956), which played on a double bill with another '56 film A Kiss Before Dying, directed by Gerd Oswald. The following night, Thursday, January 31, Philippe Garnier signed his biography Goodis: A Life in Black and White, also on the Castro mezzanine. That night's 1957 double bill honored the subject of Garnier's book, pulp writer David Goodis: Jacques Tourneur's Nightfall based on Goodis' novel and the author's screenplay adaption of his own book, The Burglar, directed by Paul Wendkos. 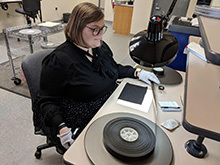 Saturday night, February 2, Muller announced the this year's $5,000 FNF-Nancy Mysel Legacy Grant winner: Janine Winfree of the L. Jeffrey Selznick School of Film Preservation/George Eastman Museum in Rochester, NY. A heart-felt acceptance video by Ms. Winfree screened for the appreciative San Francisco audience. The FNF's charitable grant, funded by the Mysel family in honor of the late film preservationist Nancy Mysel who supervised FNF restorations of The Prowler and Cry Danger, grants funding to students enrolled in film restoration and preservation studies. As in year's past, all of this year's box office earnings will go towards the Film Noir Foundation's restorations efforts. According to FNF founder and president Eddie Muller, "NOIR CITY remains the only film festival in America in which 100% of the box office proceeds directly go to funding the restoration of films." Couldn't make it to San Francisco for the festival? Don't worry, NOIR CITY will take its show on the road with satellite festivals in Seattle, Hollywood, Austin, Boston, Chicago, Detroit and Washington D.C. You'll have a wonderful time and help to support the FNF's restoration efforts. NOIR CITY 17 photos by Dennis Hearne. More of Dennis' photo coverage of NOIR CITY 17 can be found on Facebook - the Usual Suspects. There's more pictorial coverage on our Instagram page. Trapped, a 1949 film noir produced by short-lived Eagle-Lion Pictures, is the latest restoration project of the Film Noir Foundation. The restored film had its world premiere in San Francisco on January 25, kicking off the 17th annual NOIR CITY festival at the Castro Theatre. 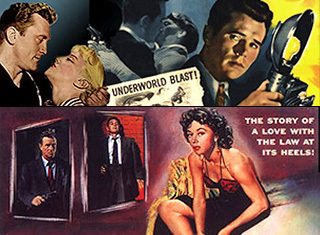 The preservation has been accomplished through the long-standing partnership of the Film Noir Foundation and UCLA Film & Television Archive, which since 2008 has restored and/or preserved 33 examples of classic film noir. One of the first and best B-features by future Hollywood A-list director Richard Fleischer, Trapped is one of the few Fleischer films yet to be resurrected from this fertile yet neglected period of the director's career. Eagle-Lion films did not have the archival protection of a major studio and many of its original 35mm features have been dispersed to parts unknown. After a long and nearly fruitless search for restoration elements, UCLA motion picture archivist and FNF advisory council member Todd Wiener discovered that a private collector in New York had deposited a 35mm print of Trapped at the Harvard Film Archive in Cambridge, Massachusetts. The FNF paid a nominal fee to arrange loan of the print to UCLA Film & Television Archive for the restoration. The 35mm restoration of Trapped will be screened nationally as part of the FNF's NOIR CITY film festival programs in 2019, as well as being eventually released on Blu-ray and DVD through the FNF's partnership with Flicker Alley, which to date has distributed its restored versions of Woman on the Run (1950), Too Late for Tears (1949), and The Man Who Cheated Himself (1950). Other titles in the Blu-ray pipeline include restorations of Repeat Performance (1947) and the Argentine noir Los tallos amargos / The Bitter Stems (1956). NOIR CITY patrons and FNF donors have made it possible over the years for the FNF to restore those titles in addition to Cry Danger (1951), The Prowler (1951), Try and Get Me! (1951), High Tide (1947), and The Guilty (1947), as well as funding our many 35mm preservations. DONATE HERE and be a film noir savior. MAKE A $20 OR MORE DONATION TO THE FILM NOIR FOUNDATION. 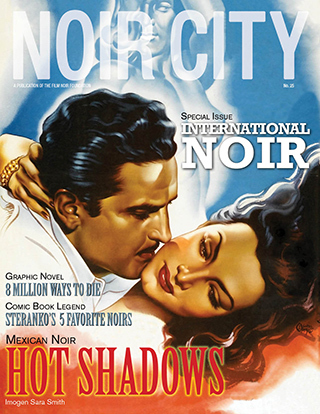 2019's NOIR CITY Annual 11, the best of the best from the Film Noir Foundation's 2018 quarterly NOIR CITY e-magazines, is an essential addition to any film lover's library—essays, interviews, profiles, tributes, and reviews of classic and modern noir films from today's top writers -- including Imogen Sara Smith, Jake Hinkson, Ray Banks, Vince Keenan, Alan K. Rode, Steve Kronenberg, Gary Deane, Nathalie Atkinson, Ehsan Khoshbakht, Monica Nolan, Ben Terrall, and Eddie Muller. Book layout and design by Michael Kronenberg. 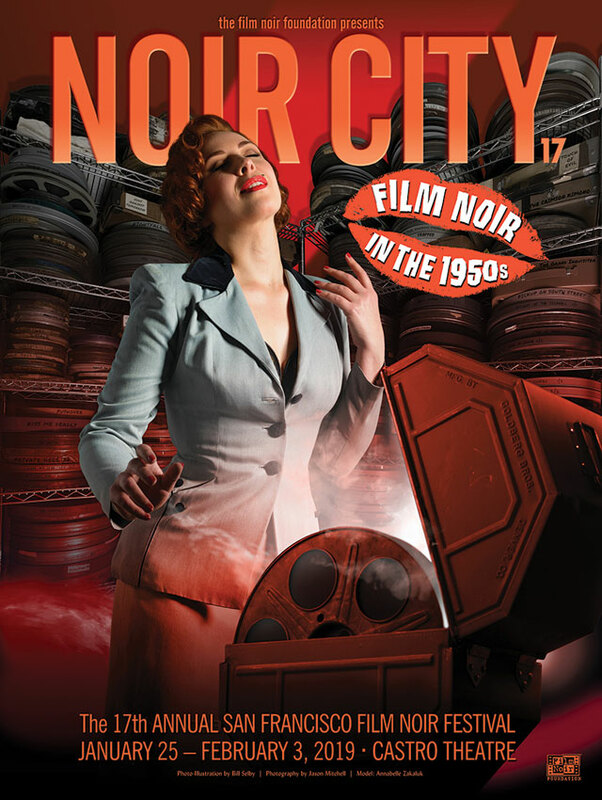 And, as with any purchase from the FNF, when you buy NOIR CITY Annual 11, you'll be helping fund the non-profit foundation's film restoration efforts. EXTRA! EXTRA! Get Your Noir News Here! For the latest in noir news from small screen to big screen and beyond, visit our news area. We'll keep you updated on Film Noir Foundation projects and events, film festivals and noir-related happenings in other mediums on our news page, as well as noir and neo-noir titles released on dvd and Blu-ray. Our newly added Now Playing section will keep you up-to-date on noir-tinged entertainment in theatrical release or streaming. Check our monthly tv listings for noir and neo-noir films coming up on Turner Classic Movies. Our Video Archives feature an expanding catalog of noir-related video, ranging from exclusive interviews, to festival guest appearances, to short films inspired by film noir. → View our list of films screened at NOIR CITY 1-16 here.